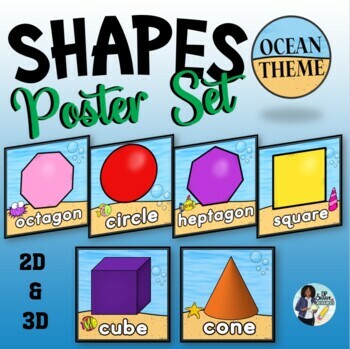 This is a set of posters that features 2D and 3D shapes in an ocean theme. 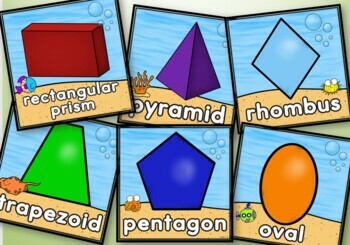 There are 2 sizes; 8x8 poster size and flashcard sizes that fit four per page. 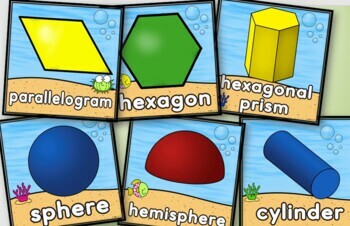 Two styles are also included; with and without words.